Once again, we see the two most dominant forces in the WWE collide! Brock Lesnar has had a stranglehold on the title since he won it from Goldberg at Wrestlemania 33. 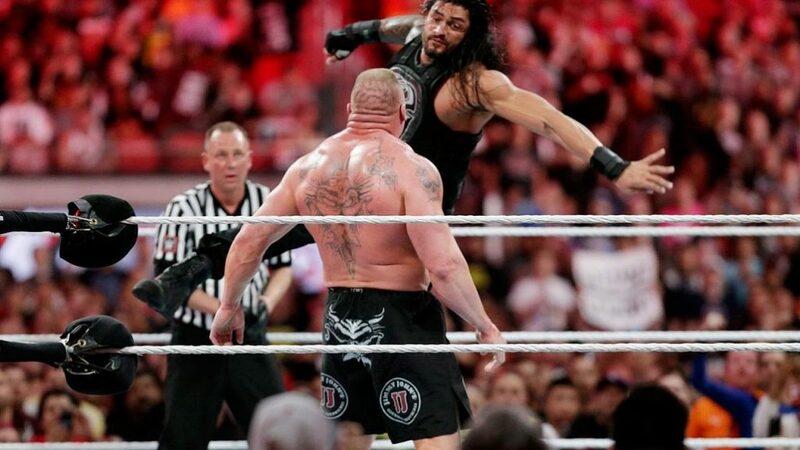 Roman has been chasing Brock since Wrestlemania 31! Will the Big Dog finally be able to win the grandest prize in WWE from the Beast? Let’s find out. Who has been more dominant than the rarity that is the Beast Incarnate? Who has more intensity and confidence that our current Universal Champion? The Mayor of Suplex City will be entering Summerslam as the longest reigning champion of the modern era. He is determined not to let anything or anyone stand in his way of walking out of Brooklyn STILL the reigning, defending, undisputed Universal Champion! The Big Dog has had one thing on his mind. The Universal Championship. He has taken up an almost Captain Ahab pursuit of the gold in his quest to take down the Beast. Roman considers himself the uncrowned champion following his controversial defeat at the Greatest Royal Rumble. Will he finally be able to slay his white whale and become the newly crowned Universal Champion?? This rivalry has reached a fever pitch. 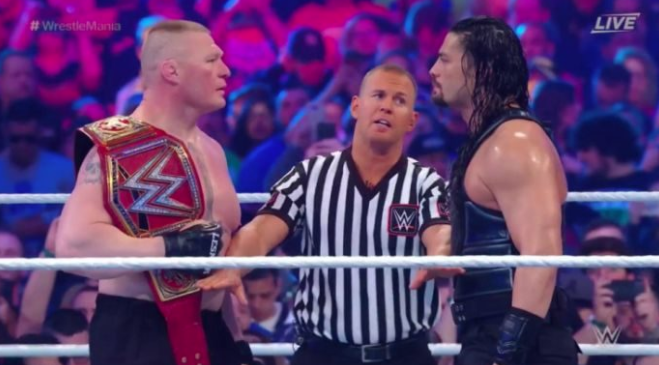 These two gladiators have faced off time and again, most recently at the Greatest Royal Rumble in Saudia Arabia and Wresltmania 34 in New Orleans prior to that. 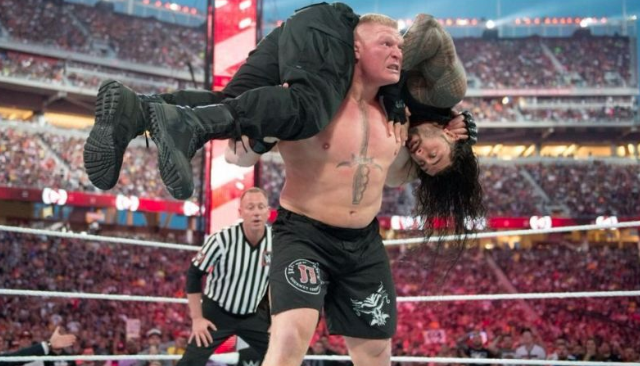 And time and again Lesnar has left Reigns on the ground as the words, “AND STILL,’ rang through arenas across the world. Brutality and physicality are two words that can describe the wars these two men have put one another through. Blood, sweat, and tears are all Roman have to show for it as of publication. If the definition of insanity is doing the same thing over and over again while expecting different results, then it makes sense why many scratch their head at Roman stepping into the squared circle again against Lesnar. In the Champion’s most recent title defenses, Roman has been involved and was destroyed. Yet, Reigns fought his way back to the front of the line and again, earning his spot as the number one contender to the Beast’s Universal title! This match will be a car crash in human form. We know how destructive Brock Lesnar can be. He lives to cause another pain and he seems to get a personal enjoyment inflicting it on the Big Dog. Suplex after suplex will be inflicted with a childlike glee as he defends his gold. 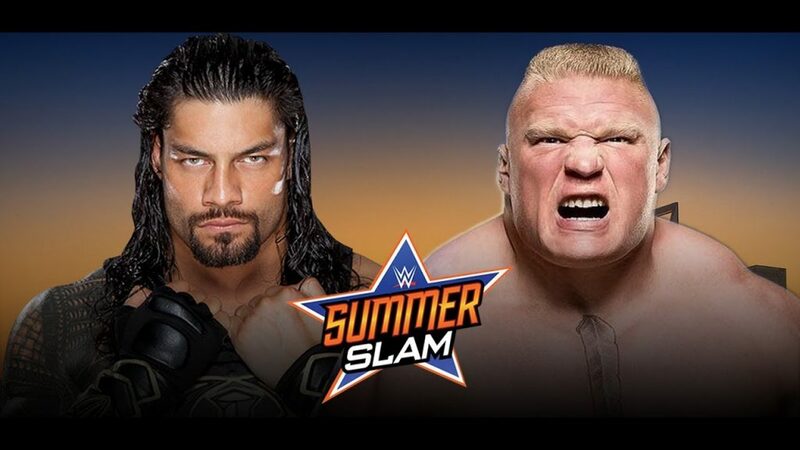 I have no doubts that Brock will push the limits of what is humane and decent during this match. 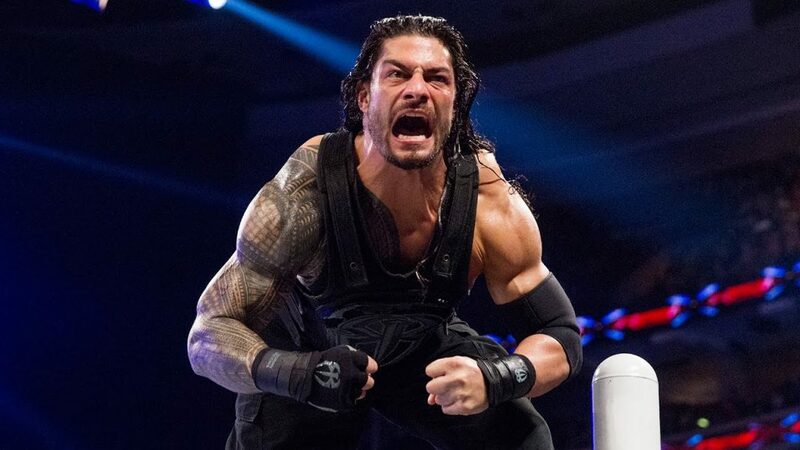 He will be out for the blood of his Samoan challenger as he seeks to finally put the Big Dog to sleep! Roman Reigns will bring his A game. He has everything to prove, to the upper management, to his family, to the fans, to Brock, and most importantly to himself. He feels he is the uncrowned Universal champion. He feels in his heart that now is the time for him to put the Beast down! To prove that it really is HIS yard and become the fighting Champion that Raw deserves. We will see a new side of Roman. Everything he has thrown at Brock thus far hasn’t gained anything but defeat. He will have to reach deep into himself to match the brutality that he faces. Neither of these fighters is going to leave Brooklyn the same. Brock and Roman are extremely familiar with one another. Their previous battles have shown how bloody and destructive they can be in the ring. There will be suplexes, there will be roars, there will be superman punches and there will be blood. This will be the match where we finally see, once and for all, who is the most dominant in the WWE. Roman Reigns wins. He has too much on the line and too much to prove to NOT tap into that dark place that will allow him to finally take down his white whale. I’m thinking a Money in the Bank Cash in ends this and we have a new Universal Champion in the form of the holder of that briefcase. What better time to cash in than after the battle and both Brock and Roman are not even anywhere close to 100%? Poor Roman… thwarted once again by that Money in the Bank briefcase. First with Seth Rollins, then with Sheamus and now, with whoever is the holder at the end of the night! This entry was posted on Tuesday, August 7th, 2018 at 11:53 am	and is filed under Events, News. You can follow any responses to this entry through the RSS 2.0 feed. You can skip to the end and leave a response. Pinging is currently not allowed.